Lacerations that aren’t treated by a medical professional run the risk of becoming infected or not healing properly. If you or a member of your family has a laceration that requires medical attention, call Dr. Samuel Siegler II at Texas Family Practice Associates to get the best care possible. 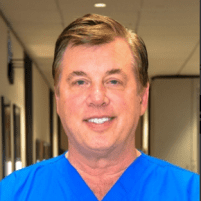 Dr. Siegler provides cleaning, stitches, and aftercare for his patients in the Houston area. What should I do if I get cut? If you or a family member has sustained a laceration or cut, the first order of business is to stop the bleeding. If the wound is small, blot the area with a clean towel to determine the size of the cut and apply pressure as needed to staunch the flow of blood. Hold off on cleaning the area with antiseptic or antibiotic ointments until the bleeding has stopped. Once the bleeding has stopped, which means that clotting has kicked in and your body is starting to heal the area, make a closer examination of the wound to decide whether you should seek medical help. Is the wound in a location where it may not heal properly thanks to constant movement? Or, is the wound in a prominent place where you’d like to minimize scarring? A yes to either of these questions means you should see Dr. Siegler. Dr. Siegler should look at anything over one-fourth of an inch in depth, especially if muscles, tendons, or bones are exposed. If the wound is over three-fourths of an inch in length, a visit to Dr. Siegler is a good idea. If the cut was made by a dirty piece of metal or some other object that carries with it the risk for infection, it’s a good idea to make an appointment. If you have any doubt about the wound, call Texas Family Practice Associates, and a member of the medical team will answer your questions. After examining and cleaning your laceration, Dr. Siegler decides on the best course of action. If the laceration requires intervention, he may use stitches or adhesives to treat it. Each of these options is designed to close the wound as neatly as possible to prevent foreign substances from entering the site, and it gives your tissue a head start in the healing process. If you or a member of your family has been cut, call Texas Family Practice Associates immediately for an appointment.